Once per turn (before you attack), you may flip a coin. If heads, draw 2 cards. 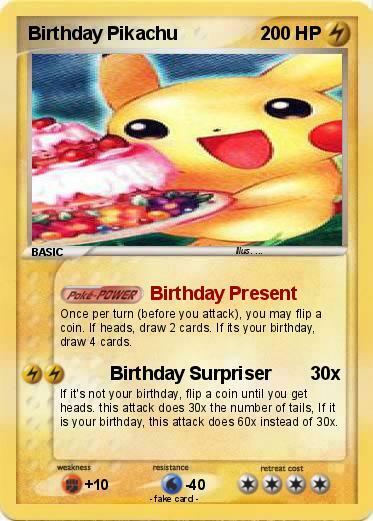 If its your birthday, draw 4 cards. If it's not your birthday, flip a coin until you get heads. this attack does 30x the number of tails, If it is your birthday, this attack does 60x instead of 30x.